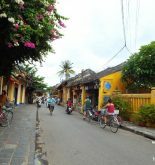 Hoi An Mid-Autumn festival (Vietnamese: Tết Trung Thu) – the 15th of Lunar August. 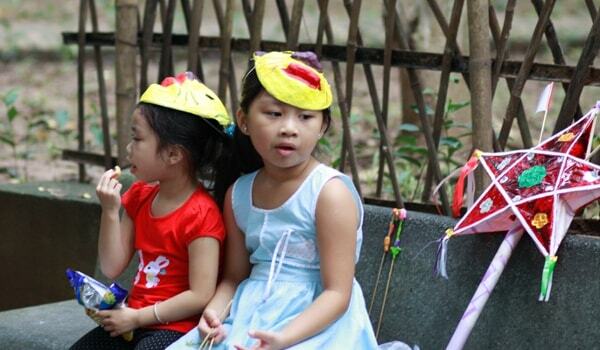 The Mid-Autumn is probably the third happiest day for Vietnamese children after Lunar New Year and the international Children day because it is actually a festival for children. Lanterns are one of the symbols of this festival so you can expect many children strolling around with their own lanterns in many shapes and sizes and the ones that floating on Thu Bon River. The moon is why people celebrate this day since it is brightest and biggest during the night of this particular day. 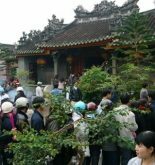 Along with the lanterns, people from young to old gather to their family for a traditional feast with mooncake which is made and eaten only for this Festival. You can find mooncakes being sell widely on the streets before the festival. 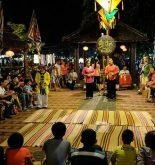 In general, Mid-Autumn might be the second most notable festival in Hoi An throughout the year.